A federal district court has ruled that North Carolina's anti-abortion license plate is unconstitutional because the state does not offer a pro-choice version. "The State's offering a Choose Life license plate in the absence of a pro-choice alternative constitutes viewpoint discrimination in violation of the First Amendment," U.S. District Court Judge James Fox wrote in the ruling Friday. The ruling was praised by the American Civil Liberties Union, which had filed a lawsuit in 2011 to stop the specialty plates. "This is a great victory for the free speech rights of all North Carolinians, regardless of their point of view on reproductive freedom," said Chris Brook of the ACLU. "The government cannot create an avenue of expression for one side of a contentious political issue while denying an equal opportunity to citizens with the opposite view." State GOP leaders have vowed to appeal today's decision. 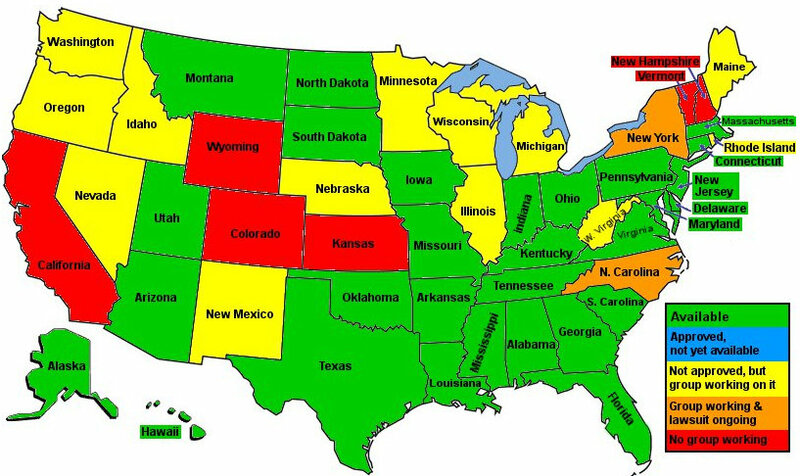 According to Choose Life America, similar plates remain available in 29 states. 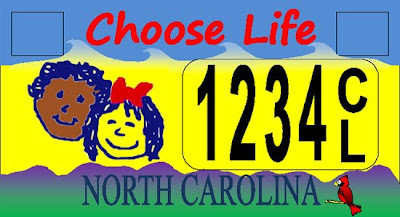 RELATED: North Carolina's plate was approved last year with the stipulation that its proceeds go to support fake abortion clinics who advertise themselves as "pregnancy crisis centers." Desperate women respond to ads that promise "abortion services" only to arrive and face anti-abortion doctors and nurses. A movement to ban such deceptive advertising has not yet been successful.